I thought I’d show you some of my favourite portraits our artists have painted. Take a look at these four beautiful oil portraits from photos. What these 4 portraits all have in common is that they are all based on photographs that mean something to those people commissioning them. If you would like to commission a portrait based from a photo please also try to make sure that it’s in focus and around 1 MB if possible. Our portraits from photos take roughly 4 weeks to complete. 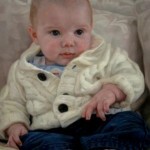 Once finished we will email you a high-resolution photograph of your finished portrait. Should you wish to make any slight amendments to your oil painting then please let us know, we want you to be thrilled with your portrait. Please note that once you’ve approved your portrait no further changes can be made. We then require a further week or 2 to make sure the oils have sufficiently dried before we can safely deliver your oil portrait to you.